In their invited review, Dr. Michael Henderson and Dr. Igor Lyubinetsky, PNNL, show that scanning probe microscopy techniques give scientists detailed molecular information to shed new light on fundamental interactions that are key to our energy future. 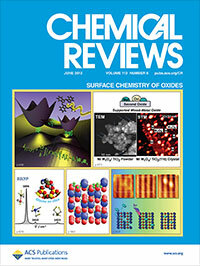 This research graced the cover of Chemical Reviews. Copyright: American Chemical Society. Enlarge Image. As shown by Pacific Northwest National Laboratory's Dr. Michael Henderson and Dr. Igor Lyubinetsky in their invited review article, using scanning probe microscopy techniques, in particular scanning tunneling microscopy or STM, allows scientists to understand fundamental interactions that are key to our energy future. Adsorbates, their adjacent neighbors, defects, and impurities of the surface topography all influence the surface's photochemistry. Knowing the locations and residence times of each molecule is important to understanding and controlling surface chemistry, vital for solar energy and other forms of renewable energy. "The scanning tunneling microscopy technique correlates atomic-level details of the active surface environment with photocatalytic processes, which enables researchers to design catalysts to achieve desired chemical transformations," said Henderson. STM enables researchers to follow and understand the photochemical reactions on various surface sites. With STM's sensitivity to the electronic structure of a surface, scientists can identify the locations of adsorbates and determine which make the best and worst neighbors so that photocatalysts can be designed to control chemical reactions. In the article, Henderson and Lyubinetsky highlight the growing use of scanning probe microscopy techniques. 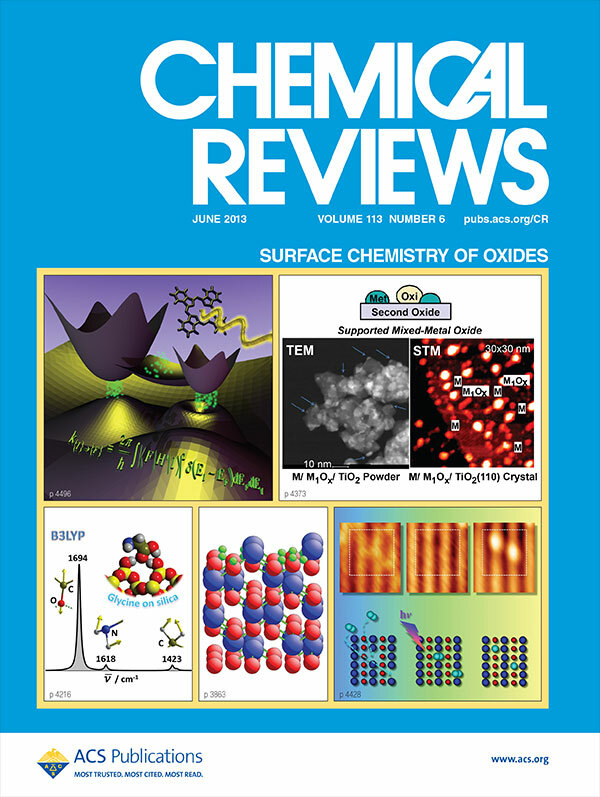 They focus on the ability to provide molecular-level insights into surface photochemistry on the model photocatalyst surface of rutile TiO2(110) to illustrate the unique knowledge that scanning probe techniques have already provided the field of photocatalysis. They also strive to motivate a new generation of effort into the use of such approaches to obtain insights into the molecular-level details of photochemical events occurring at interfaces.